A complete packing, including a beautiful Cinema 24 Electric Fireplace, The Bailey Electric Fireplace Mantel Package by Napoleon comes in a classic style that will create the ambiance of a wood burning fireplace directly out of the box. This package has a small footprint so that it doesn't intrude into the room wherever it is placed. It can even be placed in the corner with the included corner package. This electric stove provides the ambiance of a traditional fireplace that is ideal for all spaces large and small. It features a bronze finish that will complement any dicor. With its fashionable door handle, gracefully swept legs and carved side panels, it brings a smooth comfort to any room. The Bailey Electric Fireplace Mantel Package with 24-inch Cinema Log Set A complete packing, including a beautiful Cinema 24 Electric Fireplace, The Bailey Electric Fireplace Mantel Package by Napoleon comes in a classic style that will create the ambiance of a wood burning fireplace directly out of the box. This package has a small footprint so that it doesn't intrude into the room wherever it is placed. It can even be placed in the corner with the included corner package. 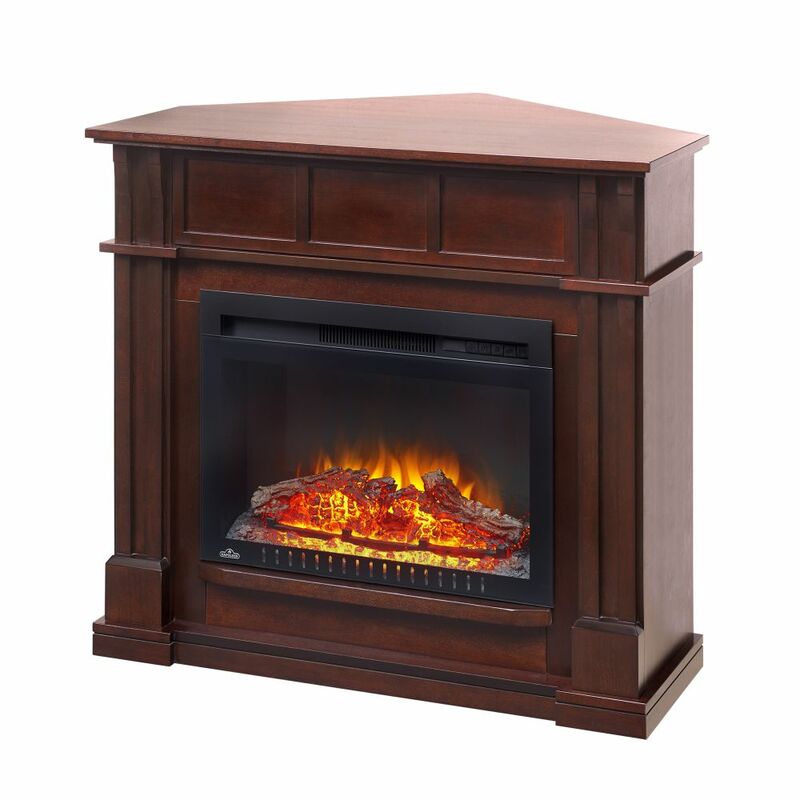 The Bailey Electric Fireplace Mantel Package with 24-inch Cinema Log Set is rated 5.0 out of 5 by 1. Rated 5 out of 5 by Michelle from I am very pleased with this product. ... I am very pleased with this product. Can you put a TV on it and what weight and size? This electric fireplace mantle package can handle up to 150lbs should you wish to put a TV on it.